In this paper, we develop two ensemble time-stepping algorithms to solve the convection-diffusion equation with random diffusion coefficients, forcing terms and initial conditions based on the pseudo-spectral stochastic collocation method. The key step of the pseudo-spectral stochastic collocation method is to solve a number of deterministic problems derived from the original stochastic convection-diffusion equation. In general, a common way to solve the set of deterministic problems is by using the backward differentiation formula, which requires us to store the coefficient matrix and right-hand-side vector multiple times, and solve them one by one. 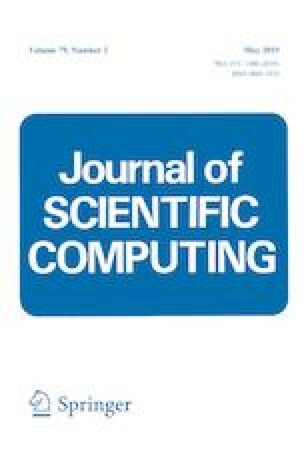 However, the proposed algorithm only need to solve a single linear system with one shared coefficient matrix and multiple right-hand-side vectors, reducing both storage required and computational cost of the solution process. The stability and error analysis of the first- and second-order ensemble time-stepping algorithms are provided. Several numerical experiments are presented to confirm the theoretical analyses and verify the feasibility and effectiveness of the proposed method. The authors thank Professor William Layton for his helpful comments and suggestions. Ning Li is supported by China Scholarship Council Grant 201707010004, Joseph Fiordilino is supported by the DoD SMART Scholarship and partially supported by NSF Grants CBET 1609120 and DMS 1522267, Xinlong Feng is supported by the NSF of China (No. 11671345, No. 11362021).